My First Blogger Retreat Experience Was Spectacular! 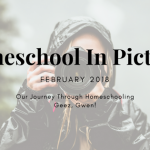 When I first saw that Heather Bowen from Life of a Homeschool Mom and Homeschool Blogging was hosting a Blogger Retreat in Myrtle Beach I was super excited. I had been praying for exactly this. This retreat was exactly what I needed. 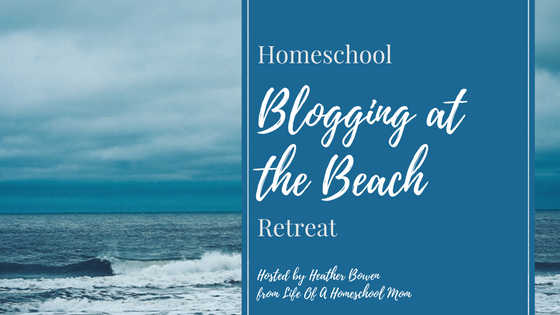 This Homeschool Blogging at the Beach Retreat was inspired by Heather’s belief that the most valuable conference and retreat experiences she had benefited from all took place in small gatherings with a lot of one of one. Because she is amazing, she was seeking to offer this type of experience to five other bloggers. And I was among them! What a blessing this retreat was! Let me tell you all about it! First, because I have committed to being honest with Y’all, I’m going to confess that after my initial excitement I started to freak out a bit. I have the most amazing ability to get lost even with a Garmin. It’s impressive. And I started to worry about taking this almost eight-hour drive all by myself. Ten minutes in the mall is enough to have me wondering where that exit went. Imagine four hundred miles of four-lane and all those exits! Yikes! Then again, I did choose bold as my word this year (you can read all about that here). So I sucked it up, held tight to Joshua 1:9 (literally and figuratively) and released that worry. But guess what? That release opened up time for me to worry about the fact that I knew none of these other bloggers? I struggled with that one and prayed about it and finally found peace in that God had presented this retreat to me as an answered prayer, therefore each one of these girls was obviously a gift from God. Once I had settled that I found time to worry about how much I would miss Mr. Wonderful and T. And it went on and on. I feel totally ridiculous admitting to all of this but just in case you’re about to go on a Blogging Retreat (or some other grand adventure) and you start to think of all the reasons maybe you shouldn’t go, I want to encourage you to GO. Go boldly! I discovered later I wasn’t the only one who had last minute misgivings about this event. Apparently, this is more common than you would imagine. It’s ok to get freaked out, as long as you don’t let it stop you. Having courage isn’t about never being afraid. It’s about being terrified but moving forward anyway. T told me that. And I think maybe Chuck Norris mentioned it or Jackie Chan. Some totally tough guy. Anyway, it’s truth guys! TRUTH! So I did get lost. But almost nine hours later I finally arrived at Shorecrest Vacation Villas.I can not tell you how happy I was to park! It was a beautiful moment. I made my way up to our suite and finally met the girls! Heather presented me with this awesome SWAG Bag! Shout out to Nora Kyles @ Blooming Kreations for designing our shirts! Super cute! There was also a journal, scripture cards from HopeDeck which I love and now have one on my refrigerator and one on my desk. What a beautiful goal – to be the very best version of ourselves. I’m totally into this read. The first night we all went to dinner at Luigi’s Trattoria. Over dinner, we had a chance to get to know each other better, hear about each other’s blogging journies, and also eat lobster ravioli that was out of this world. Plus, we got serenaded by an Italian gentleman with an accordion so you know, it would be hard to manage a better start than that! The next day was AMAZING! I can’t even tell you how much I learned! I can tell you that after two days I had twenty pages of notes! I felt so empowered and inspired to really dig in and make Geez, Gwen its best version of itself! We talked about everything! Heather was so generous and answered every question! I just have to say, Heather is one of the hardest working women I have ever encountered but even above that, her heart! You all, this girls heart for Jesus, and for all of us on similar paths, is beautiful and it is massive! She is such a gift, such an inspiration! I’m SO grateful! Heather answering emails. She truly loves her readers and personally reads all of the messages she gets from them! Product Creation: I have two pages of ideas for new products! 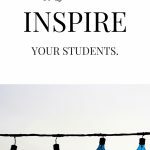 Printable ideas, ebook ideas, email challenges and more. Social Media Management: Not only did I discover some amazing new tools to help me manage my social media accounts but I also found out how and when I should be interacting. On top of that, I got lists of new contacts and reached out to several suggested groups to help me really dig in. 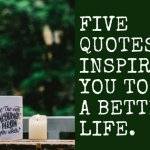 Time Management/Work-Life Balance: I not only had my April Blog Calendar completed by the time I left the retreat but I had new additions scheduled in there. Such as updating and re-sharing existing content (labeled by post name organized by its popularity), time slots to email my beloved subscribers after each post (if you aren’t a beloved subscriber, you could be – sign up here), Content Creation time slots, Goal Setting Categories divided up into weekly and daily bites, and more. All of this and it was organized into an actual block schedule with hours and everything to show me when to get this done. Now, my organizational skills have always been my Achilles heel. I often find myself so overwhelmed that even when I do accomplish a lot I never feel like I can celebrate that because there is so much left to do! But Heather showed me how to make this manageable and it was relatively painless! I will never try to get through another month of blogging without one of these. Working with Sponsors: Learning about this and other ways to monetize my blog was high on my list of priorities. I have never really managed that. I have never focused on that. 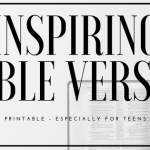 My blog is now and has always been about inspiring people, getting families together, coming up with ideas on how to spend quality time together, sharing our homeschool journey etc… I was always solely concerned with putting out good content. The financial side received none of my attention. But as my blog has grown, the cost to maintain it has also grown and so making some money has suddenly become far more important to me. I received all of the information a girl could ask for on how to make this happen. I got contact names, affiliate information, product creation ideas and step by step instructions on how and where to implement them. I learned how to use existing content to make some profit and so much more. My To-Do List is my biggest list but it also the one I am most excited about. There will be big changes coming to the blog. Things I should have put in place years ago. I can not wait to get this all in place. Goal Setting: This was something else I never focused on enough. Thanks to Heather’s organizational skills, I was able to set myself some simple attainable goals, and also at her encouragement some God Goals. Giants. I am praying for these goals and God is already showing me that He is with me! One of the most important takeaways was to set these up as annual goals first. Then break them down into monthly goals. Then weekly goals. And bam, you have achievable goals that are manageable. Smarter Que is my new favorite thing! It is a scheduler on steroids! Making it super simple to find the most shared and most commented on Facebook Posts it has already saved me hours and hours of my life and increased my engagement on Facebook and Twitter drastically! You have to try this! I can’t believe it existed and nobody told me about it until now. You can get a free 30-day trial if you use my referral link – right here! swHw App: She Works His Way: One of the things Heather stressed was how important it was to make some time to spend in the word with God before starting your day. 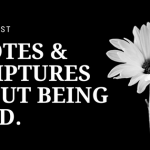 And every time you settle to work on your blog taking some time again to get your mind and heart aligned with Him before starting. So every morning she read to us the devotional from She Works His Way. I fell in love with it and since have turned to it daily for inspiration. I have also downloaded the recommended book list, the tracker, and decided I need to go to their Blogger Retreat this October! It’s in Asheville! That’s so close to home I might not even get lost on the way! It’s called Narrow and you can learn more about it here. So clearly I learned a lot at this retreat and I only touched on what I walked away with. It was incredible and so empowering! But all of that is not even the best part. The best part was meeting these amazing girls who get it. They blog too. They homeschool too. They know all about it. The good, the bad, and the ugly. The trials and triumphs. The whole deal, the real deal, true story, of all it takes and all it brings to walk this particular path. No one else ever has understood like these girls and there is something so incredibly beautiful, and comforting about having them in my life now. See, I left that Blogger Retreat blessed in every way. Ready and prepared to get things done and completely inspired to do it! I made new friends, lived ocean side, and ate great food. Speaking of which, check out this fortune cookie I was given at my last meal at the retreat. So there you have it. Don’t take it from me, take it from the Fortune Cookie Company! Geez, Gwen is about to step it up! 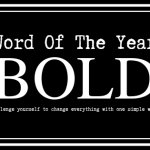 I am so glad I picked BOLD as my word of the year! In case you haven’t picked your word of the year… It’s never too late for a life changer of a choice! I enjoyed meeting you so much! Spending time going over our blogs and plans, talking about all the business side of blogging, eating great food, and sharing a room with you (the best part!) was an amazing and refreshing experience! Can’t wait to see you again one day soon! You are the best roomie! I feel so blessed to have found you, Deana! I can’t wait to meet again and to work together too! Wishing you grand success in all you set your hand to! I love this post! Thank you for sharing…you are so much fun and look forward to our next adventure. I do hope to see you at the next retreat. You too, Natalie! I had the best time and I can’t wait to see you again! Thank you for giving us a behind the scenes look at the retreat. I’m excited for the Fall one. You’re so welcome! And I’m so excited for you! You’re going to learn so much and make great friends! This looks fantastic! I feel like I know some of you ladies already. I would love to join you next time! So fun reading your perspective! We all have some great memories, I think! 🙂 It was wonderful meeting you and I look forward to seeing what God does with your blog this year as you step out with faith and boldness! Thank you so much, Danielle! It was wonderful meeting you too! I had such a great time and I can’t wait until we meet again!